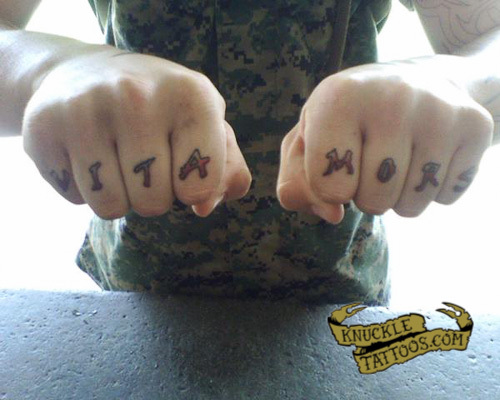 Vita (life) Mors (death) in latin. All that really is important in this world is life and death what you do in between is up to you. Im a u.s. marines so life and death are a big part of my job.